The Salt Lake City Temple is perhaps the most famous faith based destination in the United States. Striking in its grand white granite facade, the Temple is the centerpiece and home church of more than 100 nationwide Latter-day Saints churches. While you have to be a member of the LDS church to enter the Temple itself, tours are available of the magnificent 10-acre complex and include the Historic Lion House, Humanitarian Center, and the Beehive House among others. 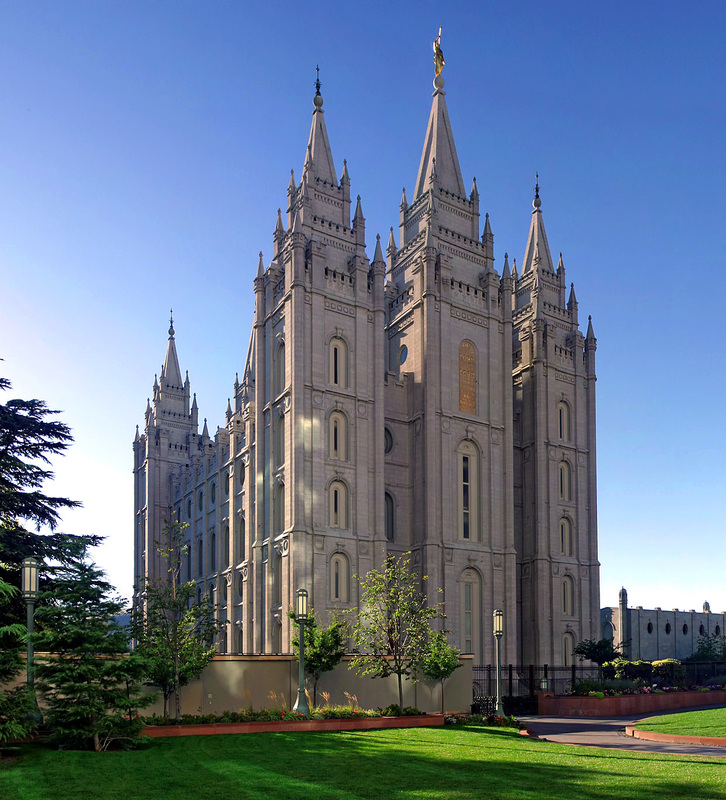 The state's most visited attraction, Temple Square remains steadfastly loyal to the teachings of the Mormon Church while reaching out to those of other faiths and cultures, extending a hand of welcome and education. Start at the North Visitors Center and see the Thorvaldsen's Christus, an 11 foot statue of Jesus standing high on a pedestal and stretching his arms to the people below. Grab a map or even a tour guide and tour the campus to see the many educational attractions available. Learn about the history and doctrine of the Mormon Church at the Church History Museum where you can see an authentic 1847 log home, an original 1830 Book of Mormon, and even see an immigrant's ship bunk. From there visit the Joseph Smith Memorial Building which now houses the Legacy Theatre and several cafes for a lovely lunch outing, or tour some more history with the Beehive House where Brigham Young lived when he was President of the Church of Jesus Christ of Latter-day Saints, built between 1853-1855. Temple Square is home to so much more and the Church welcomes you and your student group to tour the grounds to discover their history, culture, and faith.